As you know, I'm a big advocate for getting the flu shot. As a former army medic, it was my job to make sure that my unit was vaccinated yearly and I also made sure that my own kids got the vaccination as well. Getting our annual vaccination is one of the ways that I protect my family from the flu, and we strive to get it before the end of October. Every year the vaccine is different and this summer we've all been on the alert with the Zika virus, don't let the flu catch up with you. 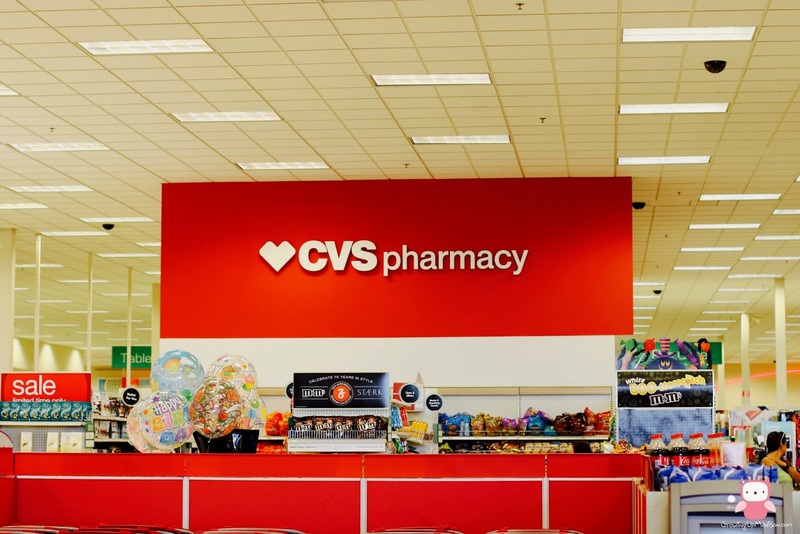 That's why this year CVS Pharmacy, now open in Target stores, wants you to get your flu shot by making it really easy for you and with an incentive to boot. It is recommended that everyone age 6 months and older should get the flu vaccine and it's very important that those at risk of influenza complications get vaccinated, including your older folks, the very young and those that are pregnant. Look at it this way - the more people that get vaccinated, the more people that will be protected from the flu. For most people that don't get the flu shot, they don't because usually it's a real inconvenience. You have to make an appointment and sometime you're not even able to make said appointment. Now you can get your flu shot this year at CVS Pharmacies nationwide or at their MinuteClinic with no appointment needed. And if your CVS Pharmacy or MinuteClinic is located within a Target location, you even get a $5 Target gift card. You know that you can't go into Target to pick up "just one thing", so that gift card would come in very handy. I recently went into my local CVS Pharmacy in my local Target to find out a bit more information for you. This year the vaccine that is available is the 4 strain vaccine and will protect you against the H1N1, H3N2, B/Victoria lineage and the B/Yamagata lineage viruses. So why should you and your family get vaccinated? Here is just 1 good reason! 1. It's Not Just About YOU! Getting the flu vaccine can actually keep you from getting the flu. It not only protects you, but also protect the people around you, especially those that are most vulnerable to getting sick. People with a compromised or weaker immune system such as babies, older folks or even those who are sick with certain chronic health conditions. While getting the flu vaccine does guarantee that you will NOT get the flu, it lowers your risk of actually getting the flu and being hospitalized. As my mother would say "an ounce of prevention is worth more than a pound of cure". Getting your flu vaccine at CVS Pharmacy is very convenient. It's available seven days a week, including evenings and weekends at CVS Pharmacy and MinuteClinic locations nationwide, and remember no appointment is necessary, you simply walk in. CVS Pharmacy can provide flu shots to adolescents (in some states, depending on regulations), adults and seniors. Their MinuteClinic can provide flu shots to children 18 months and up, adolescents, adults and seniors, making it easy to vaccinate your entire family in just one trip. 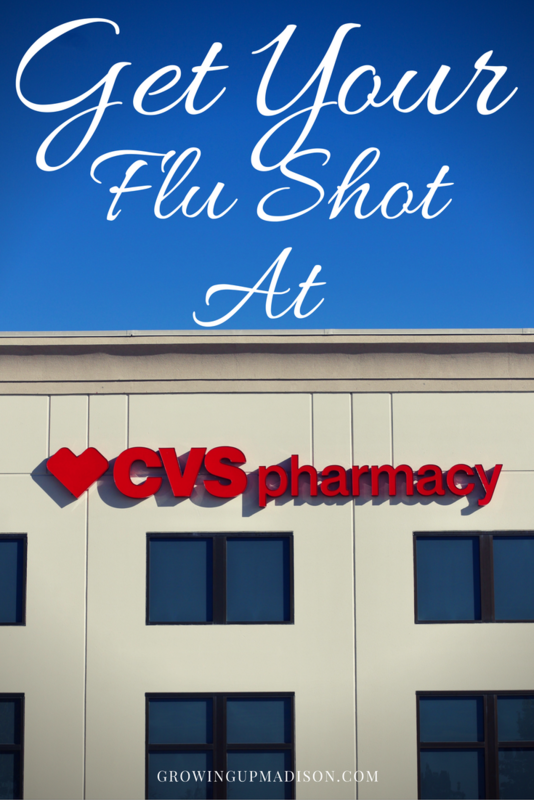 In addition, customers will receive a 20 percent off CVS Pharmacy Shopping Pass when they get a flu shot at CVS Pharmacy or MinuteClinic. 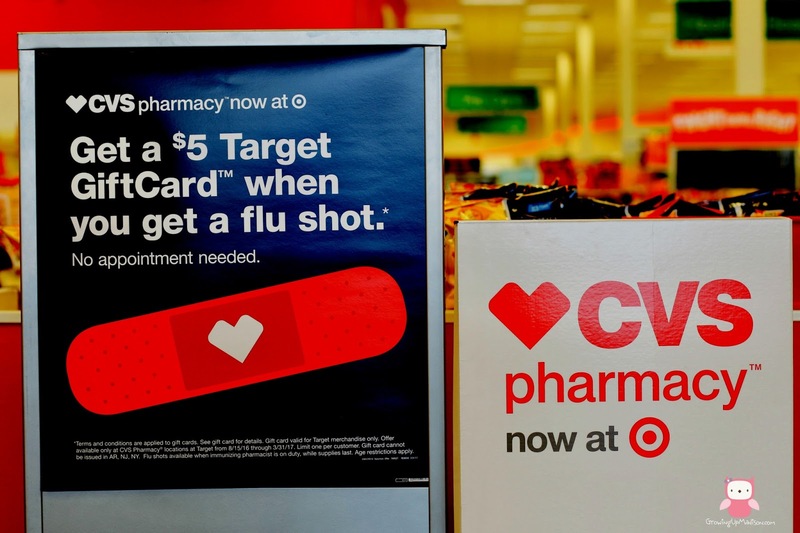 And don't forget, patients who receive a flu shot at CVS Pharmacy or MinuteClinic locations inside select Target stores will also receive a $5 Target Gift Card. So let's discuss: Are you getting your flu shot this year? I get it yearly myself and so does the entire family. Sounds like you're on the right track! I actually already got it, and yes, at the pharmacy. So easy and now I don't think about it for another year. Awesome. That's AWESOME! I'm taking the family this weekend to get ours. I need to get mine! Especially because our baby is going to be born during flu season! Oh yes you definitely need to get it done. You don't want to get the flu especially since your baby will be so young. Each year I make sure that my entire family is vaccinated. Since flu season is right around the corner, I need to lead the clan to CVS. Oh please do Brittany! I do the same every year for myself and my family too. I'll be getting mine, too. I'll check out our local CVS and see how it all works. Insurance covers mine 100% but I want to make sure I do it right! And CVS can either bill your insurance or you can pay for it. It's not too expensive but you can get all the details from your local CVS. Oh you should certainly try and get one done this year. I got my flu shot! I can't afford to get sick while pregnant and with a toddler to take care of. Oh most definitely and I'm happy to hear that you got it even while pregnant. A lot of people have no idea that pregnant people can get the shot and yes they can. I never get the flu shot. The one time I did, I got one of the worst flus I've ever had. This doesn't mean I don't believe in the shot, but until my doctor tells me I have to get it, I will probably skip it. It's very rare but some people do get the flu. Doesn't mean you shouldn't get it, speak to your doctor. I love that CVS is doing this. I always make sure my family gets our flu shots regularly. That's one thing that I never let go by without getting. The Flu is no joke! I got the flu shot for the first time a few years ago but never went back the following year. It may be time to do it now. Thanks for all the info! Oh you should get it yearly, not every few years. It seem like every year a new strain is discovered so you need to be protected. I'm fortunate to have the convenience of getting my flu shot at work. CVS would be another very convenient option. That is awesome but yes, CVS is also a very convenient option. I did not know that CVS pharmacy is now in Target stores! That's really awesome and makes getting the flu shot even easier. We have no excuse for not going since they are even open 7 days a week. Thanks for sharing this info! Exactly, no excuse whatsoever. 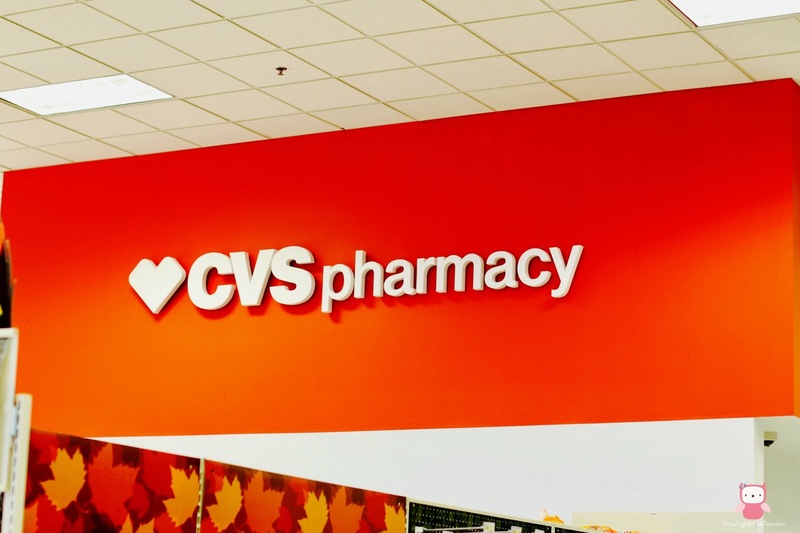 And yes, CVS can now be found in Target stores that used to have a pharmacy. So now it's no longer Target pharmacy but as I like to call it, Target/CVS Pharmacy. I've heard that story a few times from others but it's never happened to me. But talk to your doctor if you're unsure. I always get a flu shot and think its definitely helpful for monitoring certain strands of the flu. CVS is such a great place to get it done, and I am all about their Minute Clinics! Genius! Woohooo!! Kudos to you and you're right, their MinuteClinics are wonderful! It is so important to get your flu shot! This is a great post about awareness. My kids just got their's, now time for me to get mine. I am a nurse, so will get one at work. I remember when I was in the military, that was the one thing we got yearly. Since I'm no longer in, I have to remember when it's time. Ironically, the first time I did not get one in a few years, I got the stomach flu. It was the worst experience I have ever had. I would not wish it on anyone. Oh I'm so sorry to hear that, usually the flu vaccine does not give a stomach flu so it could all be a coincidence. I already got my flu shot. Now I just have to get the kids in! We already have nasty colds and stuff going around here! Oh then you want to make sure that you're definitely protected. I never get the flu shot because the only time I've gotten it (about eight years ago) I got the flu! Every other year I always seem to miss it. haha Now that I have a one year old though I know I should get it to protect him. Especially because he was a premie and NICU baby. Thanks for the post and the reasons on why the shot is important! You totally should get it. Remember, it's not just about you! I never get a flu shot. I don't think I have ever gotten the flu. But that doesn't mean I shouldn't get one. I need to make sure I keep myself and my family safe. Just because you've never gotten the flu doesn't mean that you won't get it. It's best to be safe than sorry. I think it's better to be safe than sorry. Especially with the elderly and really young. The flu can be life threatening for them. Yes it really can be Heather. Oh I'm so sorry to hear that but it's not too late to get it. I never get flu vaccines, it scares me to think that I might be submitting myself to something toxic. Would hate to die from something that could be preventable, but just cant get past the idea that I am putting something into myself that isn't supposed to be there. I am already am sick from chemical exposures..
To be honest, it's not toxic to you but it's all a matter of choice. I cannot remember the last time I had the flu, but I know it's been years and years. I never get the flu shot but I understand why some do. I'll have to check into it more! Please do, it's always best to be informed. How convenient is that! I definitely think that would be a lot easier, especially with kids, to get at the pharmacy instead of having to wait in a waiting room...for a long time. It truly is convenient and it makes everything so much easier. There are so many pros and cos about vaccination! Of course, if one believes it is a good and right thing to do, then of course they should. Thank you for reminding us that this is the right time to do the vaccinations. Yes there are and each of us know what is best for us. I haven't gotten my shot yet this year. This is a really helpful reminder. And now that it's available at target, this will be super convenient. It surely will be convenient, especially if you shop at Target. That's awesome! Sounds like you've already taken the first steps. I am definitely getting my flu shot this year. It's such an easy way to protect myself against the flu. WIth 2 kids in school, I need all the immunity I can get lol! Oh yes you do! I totally know what you mean. Seems like the kids are always the first to bring it home. I get my flu shot every year at the doctors only because I have serious medical issues. That said I am all over this for son and hubby. Truth is I didn't know CVS gave out flu shots but I do live in a rural town. Oh yes they do and if you have a CVS, it'll be great to get it there. It is really important to stay protected especially this season. Flue shots are essential to the family. They are essential and it's good to be protected. We all get flu shots every year. My sons and I are asthmatic so it is recommended that we get one every year. Also, since I have a chronic medical condition, it protects me from them bringing the flu home. Good to know that you're protected yearly. I got my flu shot last week! I have never used the Minute Clinics they sound great! While I've personally never used the MinuteClinic either, they do sound amazing. Both of my kids already got their flu shots but I have yet to do it. I will have to stop by my local CVS the next time I am out to get it. Super important! It is important. Since your kids already got it, you should get yours too. Knock on wood, but it's never too late for you to get the shot. CVS is great for getting flu shots. My husband doesn't have insurance and very year he gets it there. Great service and price. It is an amazing service and the price is really good too! I've never ever had a flu shot before! I'm also never had the flu before either *knock on wood* CVS seems way more convenient than going to a doctor's office! The convenience is great for sure and it is a great way to get your shot. I think it is great that CVS does this. I am a nurse, so I am required to get one at work! this is very convenient for people who are not health care providers! It is convenient and I'm glad that CVS does it myself too. I got my flu shot last week. It's so important to get one every year and CVS makes it so convenient. Thanks for the reminder! You're already on a roll. Kudos to you! I've gone back and forth with whether I should get a flu shot but since I work with kids, I'm thinking it'd be a good idea! I think it would be a good idea myself especially with you working with kids. I have gotten the flu shot every year since I had the flu! I used to get it at my job but now have to hunt down my own so I will check out CVS! You should definitely get it. I just stopped in to a CVS yesterday and I saw that they were giving out the flu shots. Making it easy and convenient to get a flu shot is the best way to keep people healthier. Did you manage to get yours as well? This is such a convenient way to get your flu shot. I never would have thought to just go to my local pharmacy. Well I'm not sure if all local pharmacies give out the shot, but CVS surely does. This is so convenient - perfect for families on-the-go! I need to remember this the next time we're out! You should get it especially if you have kids and get them their shot as well. So sorry to hear that but that generally doesn't happen. I am so grateful for the CVS Minute Clinic. It is so convenient and my family has turned to it on more than one occasion! I'm so happy to hear that the MinuteClinute has been working for you.